DC came in with a severe sporting injury which caused his upper right front tooth to be extremely heavily broken down. He believed that there was no way to have it fixed and was expecting to have it taken out. It was assessed that there was enough tooth structure remaining to adhere a ceramic covering on the tooth. 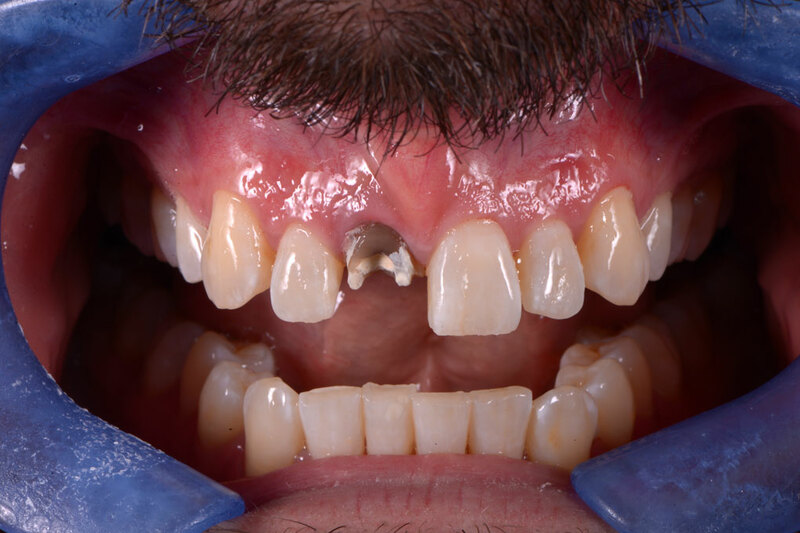 DC was surprised, but also had the expectation that his tooth would never look the same again even if it were to be fixed, because the underlying colour of the tooth was so stained and brown. 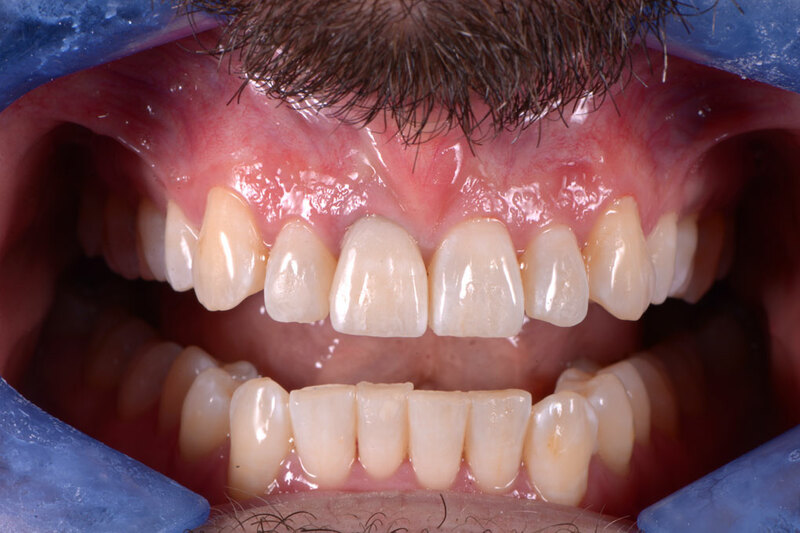 Notice how after the upper right front tooth was fixed, it is almost completely indistinguishable from the adjacent natural teeth, even with the internal surface being so heavily darkened.